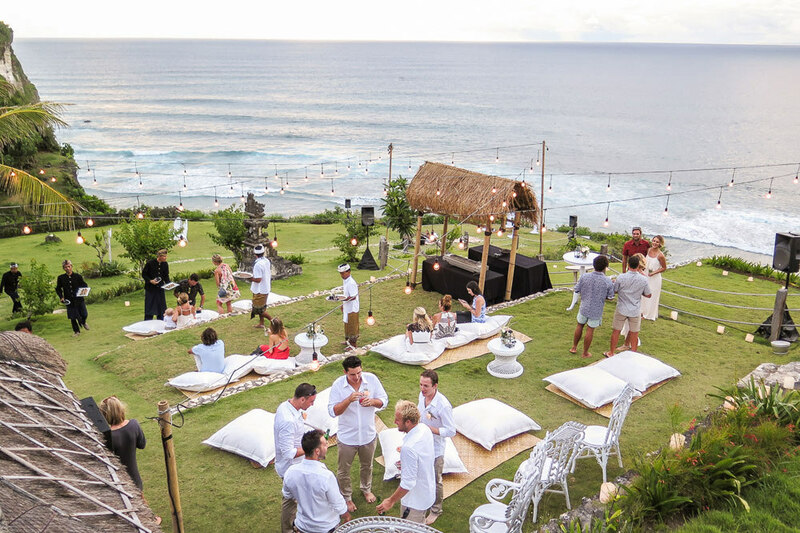 Far and wide, Bali is known as the ultimate surfer’s paradise – so for the surf-loving couple, what could be better than tying the knot at this luxury surf lodge? It’s not only right around the corner from killer waves, but also topped off with terrific cliffside views overlooking the Indian Ocean! 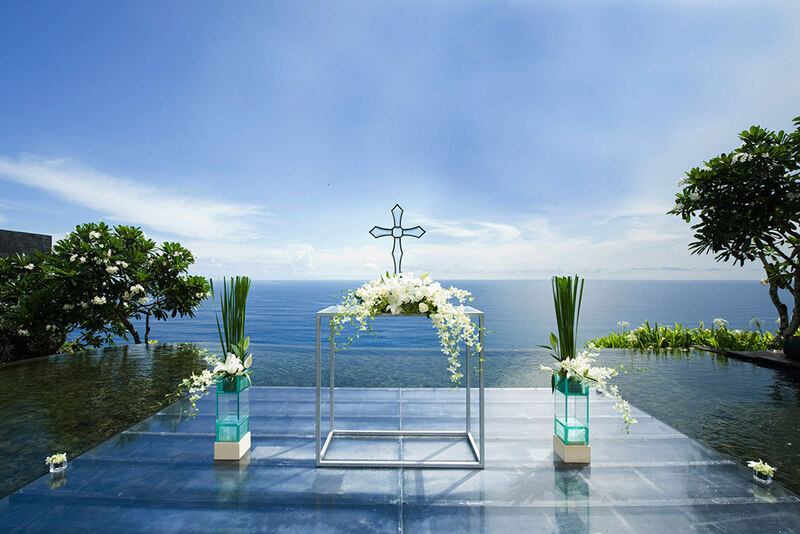 The lavish villas combined with breathtaking sunset views from the resort’s extensive lawn tailor-made for laid-back celebrations make Uluwatu Surf Villas the perfect location for any surfer’s dream wedding. 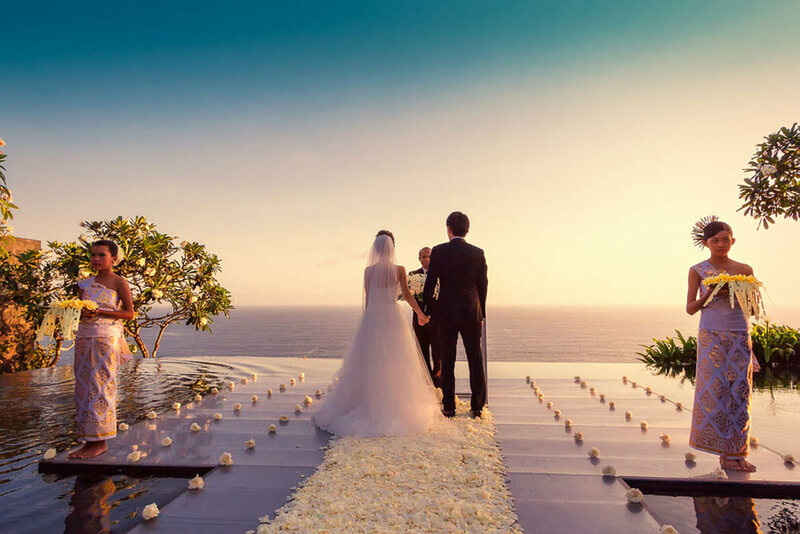 At Uluwatu Surf Villas all surfers can have their cake and eat it too – with the beach just around the corner, you can marry the love of your life and still make it in time for the line-up to catch some world class waves. On your wedding day, you should feel nothing short of a superstar. If you want to live this to the fullest, look no further than The Edge, a fabulously exclusive resort literally perched on the stunning cliffside edge of Southern Bali. 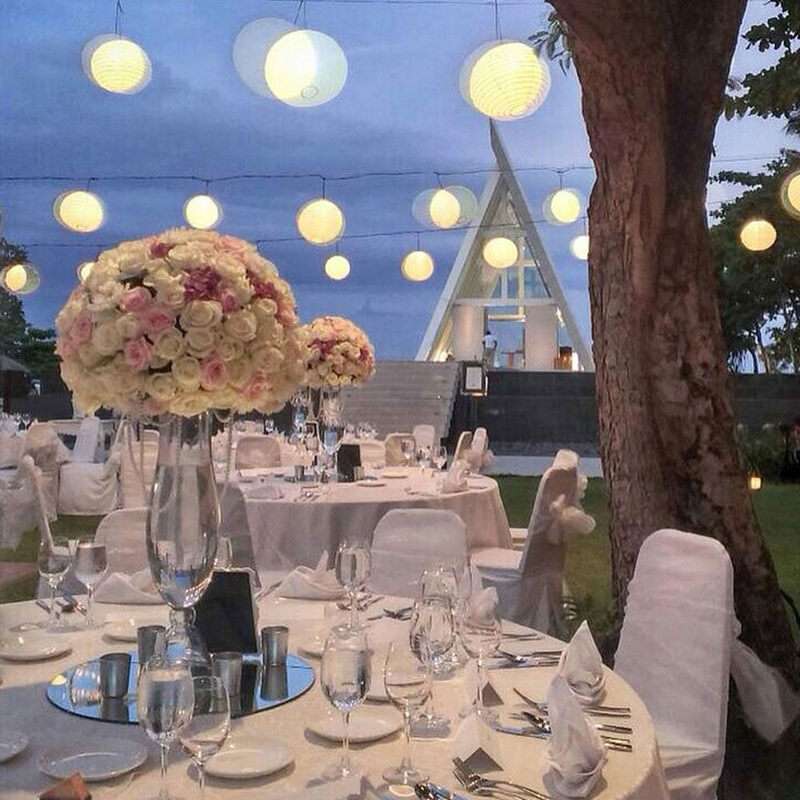 Especially for the wedding couple, you’ll get a 5-bedroom villa, complete with a cinema room, wine cellar, kid facilities for your guests’ needs, and so much more. And the magic doesn’t stop here – far from it. 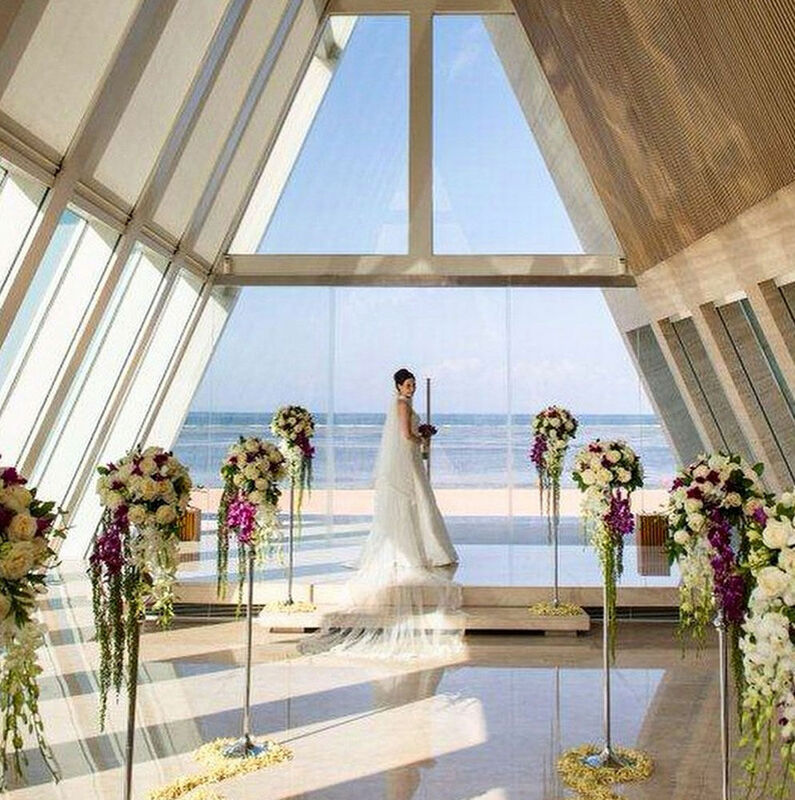 Regardless of whether you opt for an intimate event for 10 of your nearest and dearest, or choose to go all out with a celebration for +100 guests, The Edge provides wedding packages with the perfect setting for a wedding of any size. In addition to that, the happy couple is treated to 24-hour personal butler service, exclusive spa treatments held in the most amazing spa room with a unique water floor, champagne – and much more. 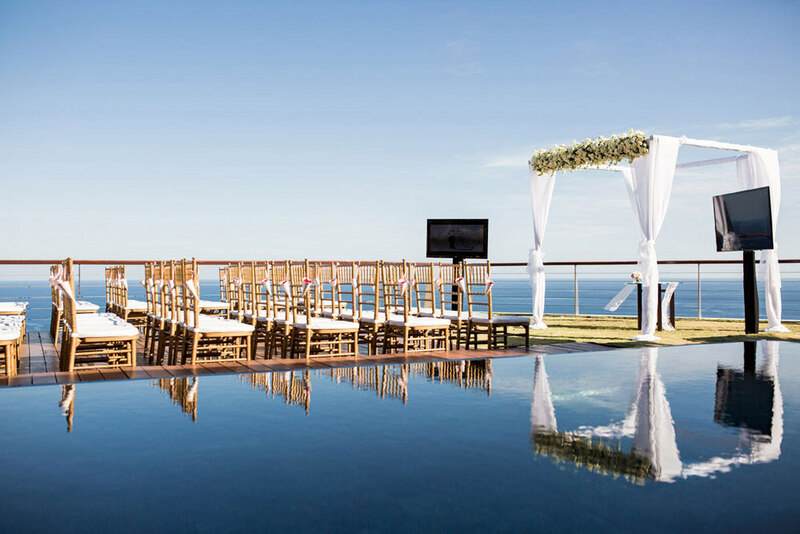 Complete with those breathtaking views overlooking the Indian Ocean and more than a few celebrities who have also chosen this as their wedding venue, The Edge ticks all the boxes for the ultimate luxury wedding in paradise. Isn’t that just what true love is supposed to make you feel like – like you can do anything, even walk on water. 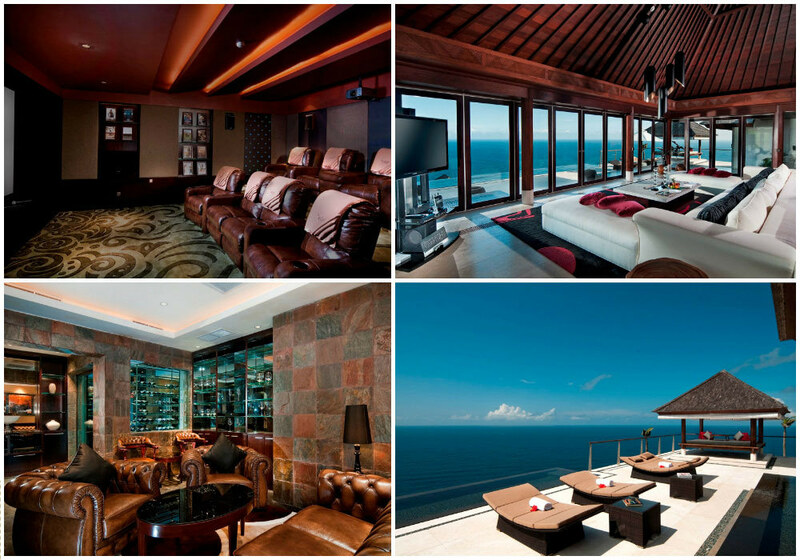 At the luxurious Bulgari Hotel & Resort located in the southern peninsula of Bukit, you can actually make that happen. 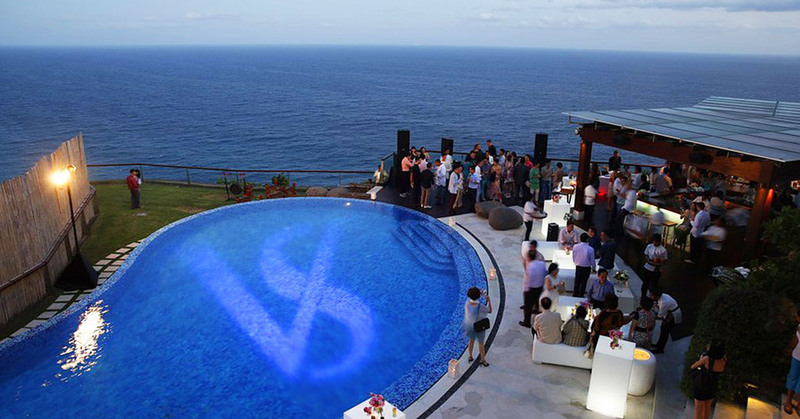 A Bulgari “Water Wedding” ceremony literally takes place in the middle of an infinity pool. 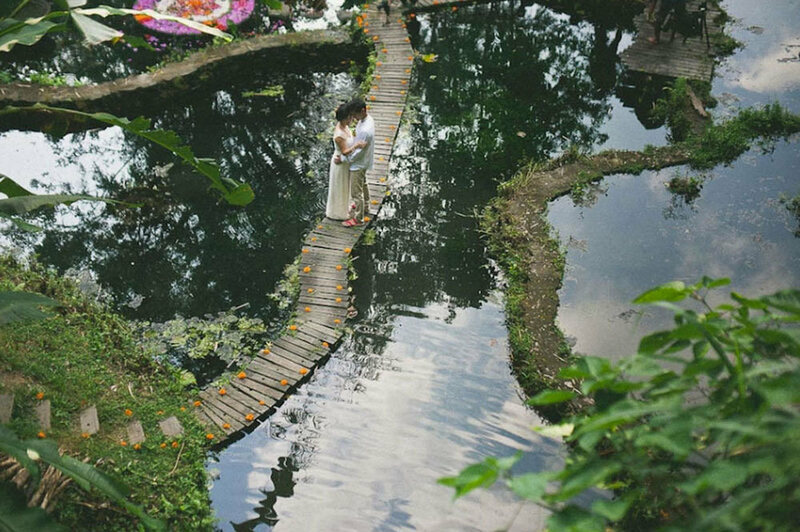 The unique structure of the podium where the couple says their I Dos makes it seem as if the bride and groom are simply floating on water. This magical illusion is further enhanced by the gorgeous backdrop of the Indian Ocean stretching out behind them as far as the eye can see. 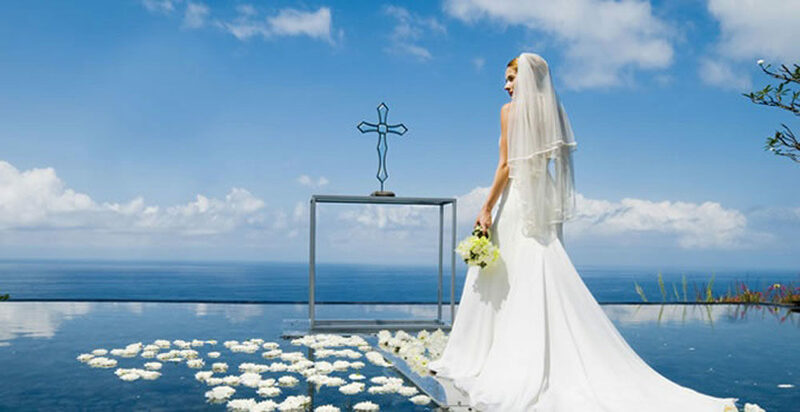 Besides offering a truly unique setting for a wedding ceremony, Bulgari also offers the happy couple and their guests a truly luxurious stay at one of the most exclusive and breathtakingly beautiful resorts in the world. 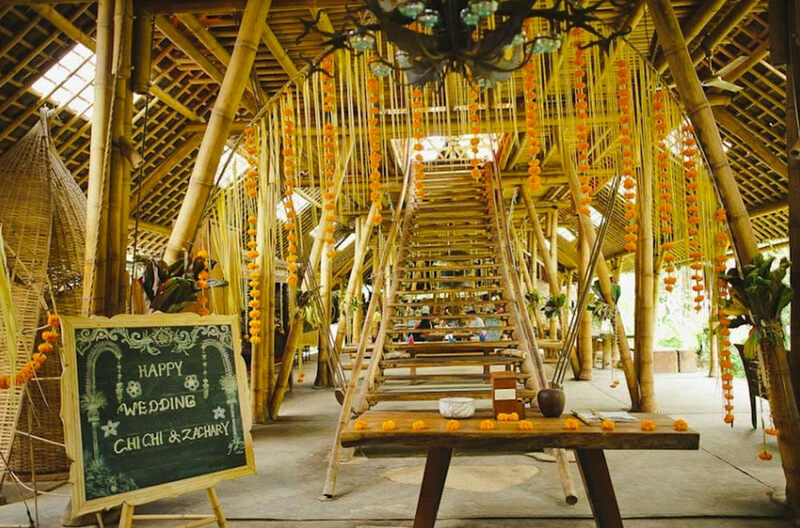 Bambu Indah is every eco-minded bride and groom’s dream come true. An absolutely stunning location tucked away in the lush rainforests surrounding Ubud, Bambu Indah is committed to sustainable eco-tourism. Guests are housed in restored, antique Javanese teakwood houses which are constructed to be as energy efficient as possible. The resort’s stunning pool utilizes lava stones which naturally cleanse and filter the water. 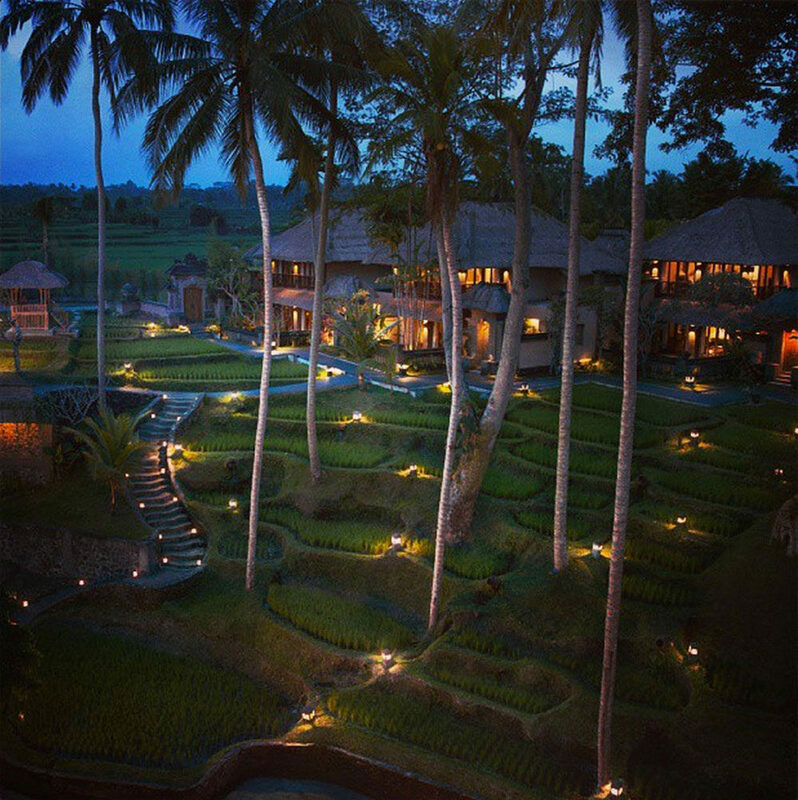 On all aspects, the resort is built to exist in harmony with the beautiful Balinese nature that surrounds it. 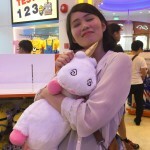 This also makes it the perfect place for beginning your harmoniously ever after with the one you love. 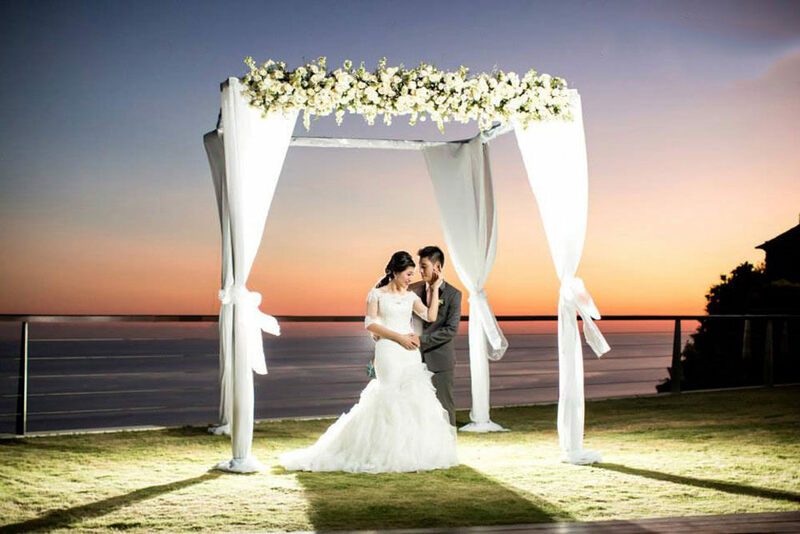 To be truly close to nature, you can opt for a breathtaking riverside venue for your wedding ceremony. Here you can say your I Do’s underneath the luscious green shade of palm trees while the river gently floats on by. Sounds pretty magical don’t you think? 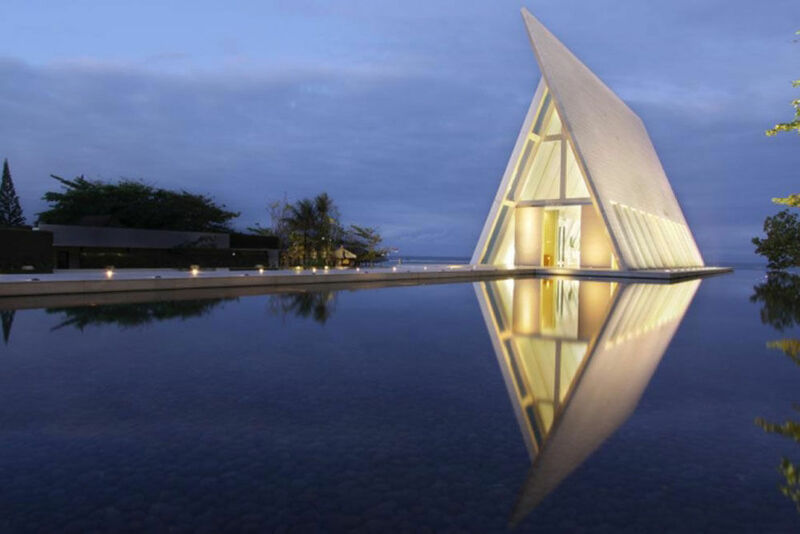 The exclusive Conrad Hotel & Resort located in Nusa Dua might just house one of the most iconic chapels on the island. 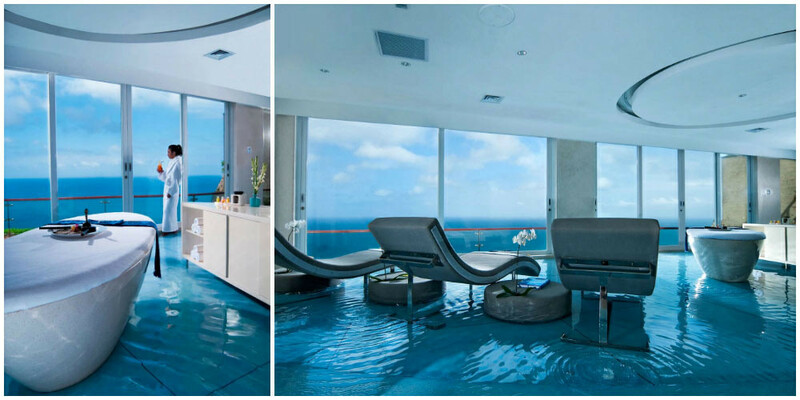 The aptly named Infinity Chapel is an exquisite architectural marvel floating two meters above sea level. This combined with the sleek modern design of the chapel itself really does give an illusion of the venue stretching out into infinity. 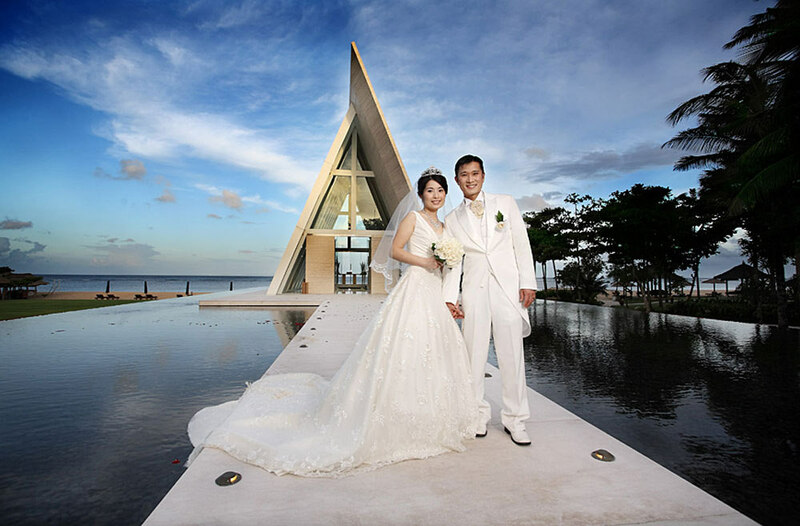 Besides the uniquely beautiful wedding chapel whose delicate design is said to represent “a romantic angle towards the heaven”. 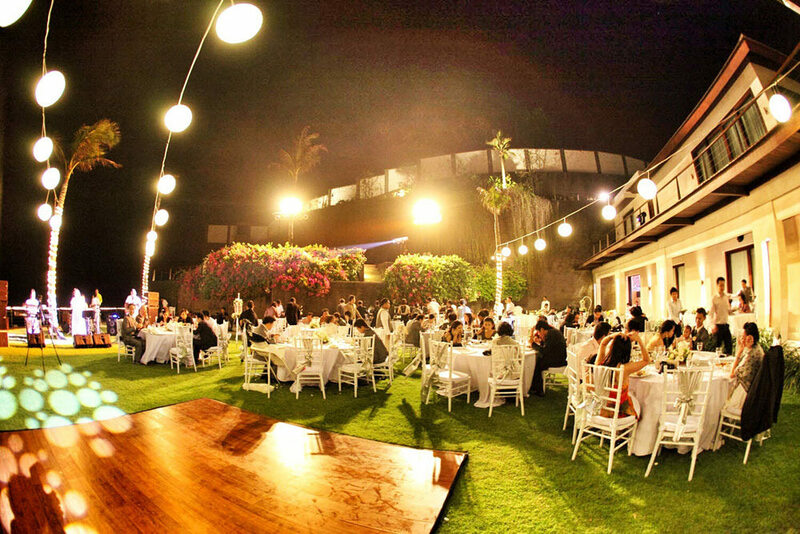 Conrad also offers a gorgeous outdoor setting for the reception complete with all the comforts of a five-star resort. 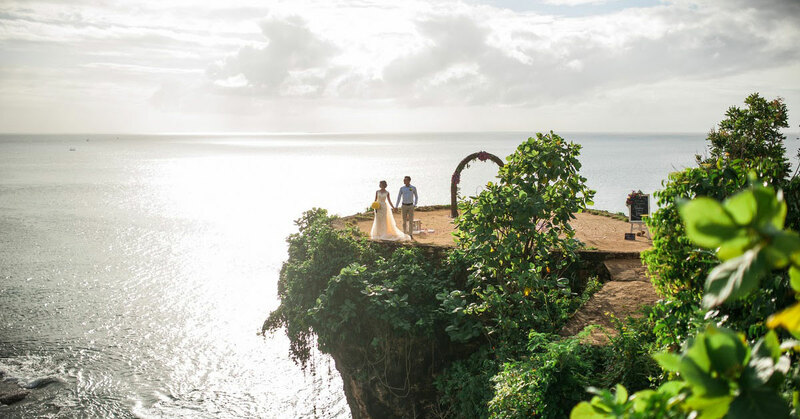 All in all, not a bad place to start your happily ever after. 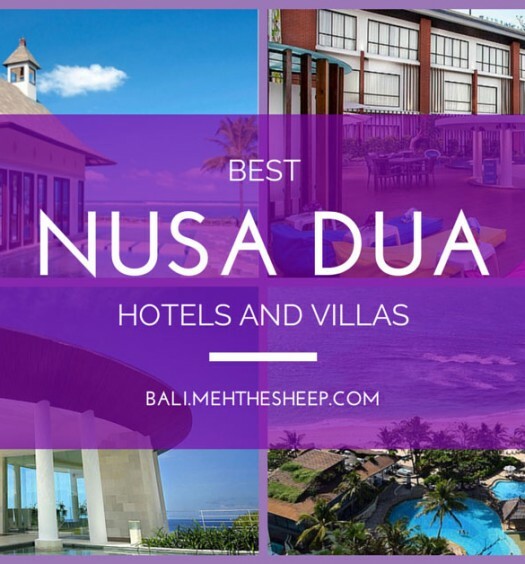 In Bali, manifestations of spirituality and devotion are everywhere and rare is the visitor who doesn’t fall head over heels in love with the vibrant local culture. The delicate daily offerings made out of palm leaves and flower petals not to mention the majestic cliffside temples have an undeniable romance to them. Understandably, it is not possible for visitors to marry according to an actual Balinese ceremony – as this is a privilege reserved for the locals who are carrying on the centuries old traditions of their ancestors. 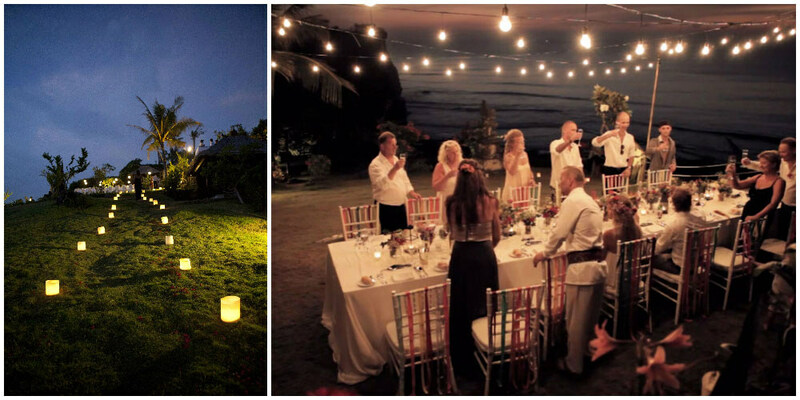 But this doesn’t mean you can’t include some of the magic and beauty of local customs into your own special day. 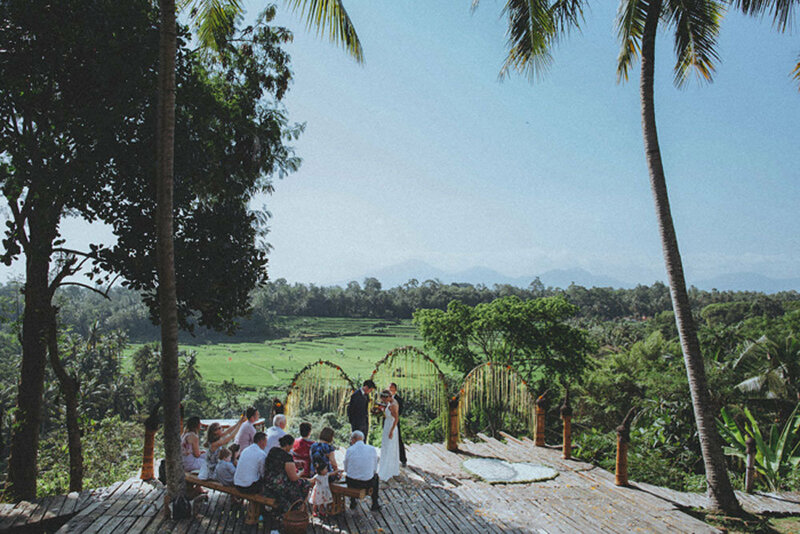 Kamandalu Resort helps you capture the essence of local Balinese customs and inject some of their beauty into your wedding day. 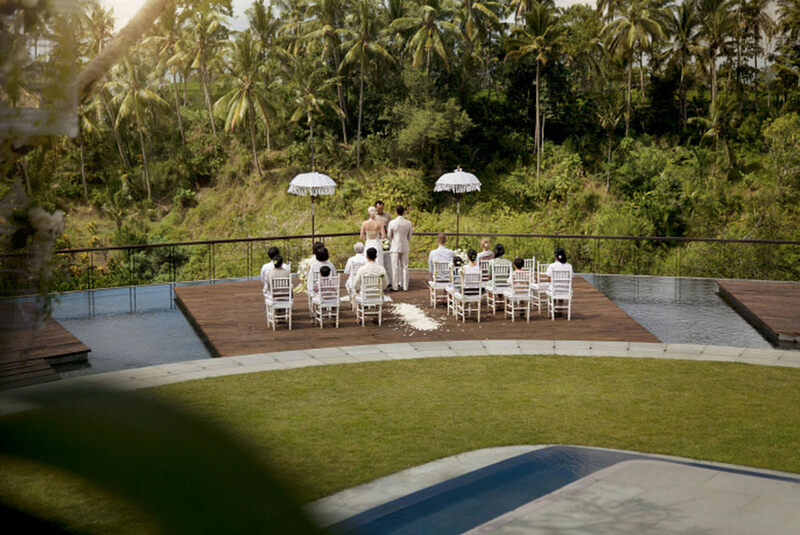 Kamandulu offers couples the option of a “Balinese Royal Wedding” where the happy couple is decked out in full Balinese wedding garb. 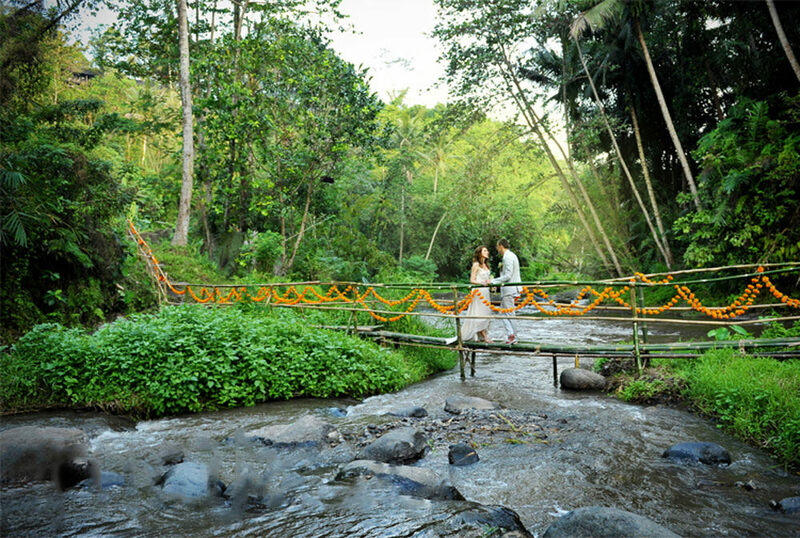 The wedding ceremony is carried out with the backdrop of the luscious tropical forests surrounding Ubud, the beautiful cultural and spiritual capital of Bali. 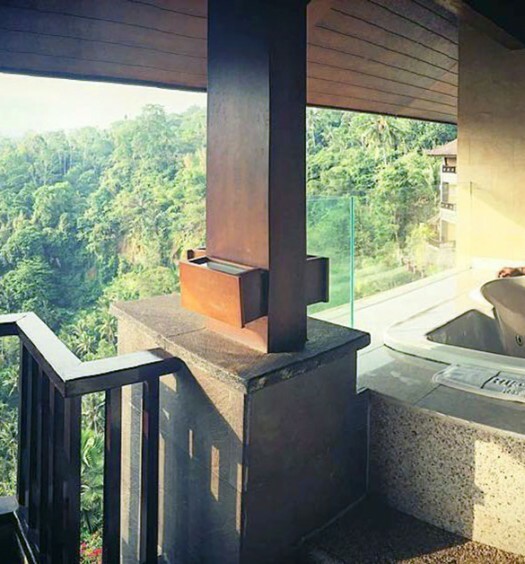 And it doesn’t exactly hurt that Kamandalu also happens to be a five–star resort complete with a beautiful private pool, either.